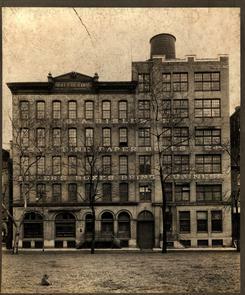 Sepia-toned photo of Bisler Company building exterior; company name visible on building façade through trees. Depicts 245-255 N 5 St.
Adaptive reuse, Factories (structures), G.A. Bisler, Inc.